Kourtney Kardashian wasted no time at all letting the world that baby daddy Scott Disick isn’t really in the picture anymore. It’s no secret that the longtime couple has been having marriage troubles due to Scott’s uncontrollable appetite to party, but it looks like the mom of three seems to have moved on to greener pastures. By greener pastures, we mean Younes Bendjima — Kourt’s 24-year-old boy toy. These lovebirds have been seen everywhere since the news broke that the two had started seeing each other. The couple was recently photographed on a date in Cannes, as Kourtney flaunted not just one, but two pieces of arm candy. Kourtney dressed in a white bralette-and-pants ensemble, and clutched Younes in one hand and a white Chanel waist bag in the other. Kourtney used her Chanel waist bag as a sling for extra style. 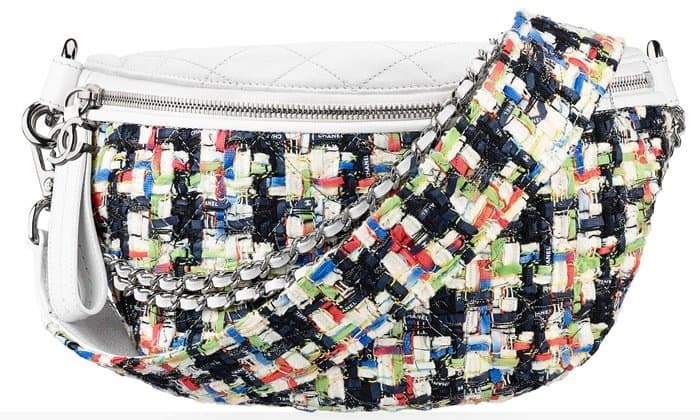 The quilted Chanel waist bag is from the brand’s Fall/Winter 2014 collection. 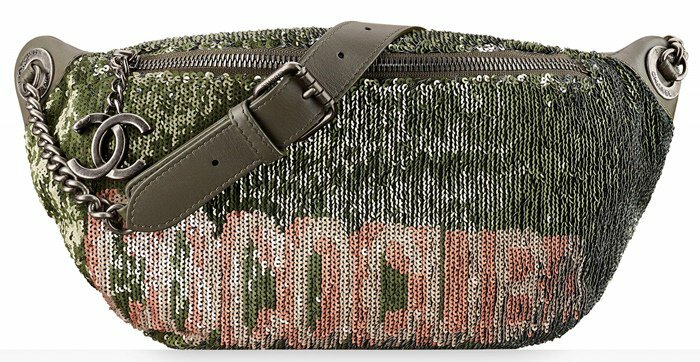 It was priced at $2,000, but is no longer available online. However, Chanel has released newer renditions of the bag and added major twists to its design. Here are some of the new iterations of the waist bag.